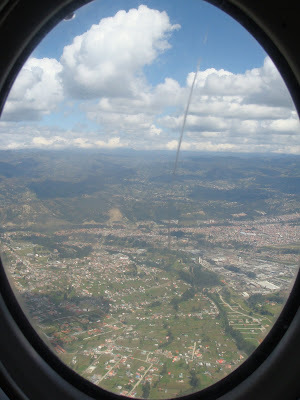 The flight took around about an hour. It cost $68. 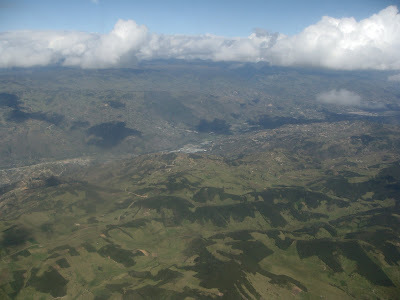 And for that we travelled over the Andes, down from Quito towards the south of Ecuador. 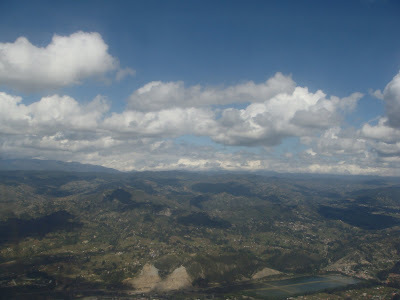 Between the sun and the clouds and the earth; the mountains sprawling accross the horizon like a rumpled sheet, we could see every town, every pueblito, every casa along the way.